These are photos of the actual model you are buying. Remember that these toys are around 50 years old! All models advertised are original, not restored or repainted unless I have stated otherwise. One of the last models before everything went rapidly downhill with Whizzwheels. 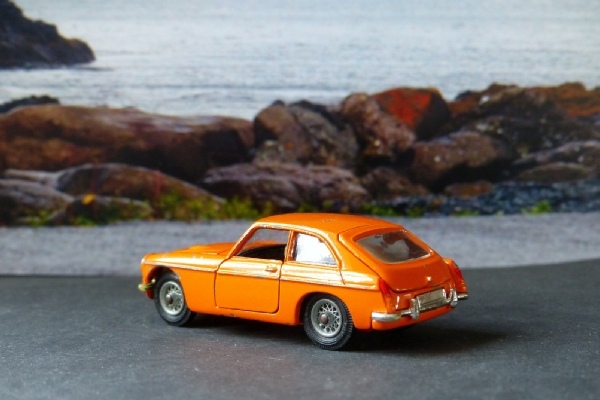 The MGC GT came in two variant - a very competitive-looking yellow and black and this very bright orange colour. I do remember seeing one or two MGBs in this colour in the 1970s. Enough said, not the best of memories.